C SPAT Training Programs are designed to give every athlete what they need to tap into their Athletic Potential.Our training concentrates on speed, agility, power, balance, strength, & acceleration. 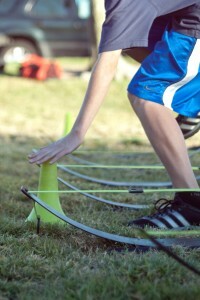 We use a combination of sport specific and coordination challenging drills. We found that giving the body something it’s familiar with then taking it out of it’s comfort zone with coordination specific drills, helped athletes improve and perfect these movements faster.